From this to garlic bread. Ready for the magic to happen. So, in average you’ll get about three cups of cauliflower to one head. 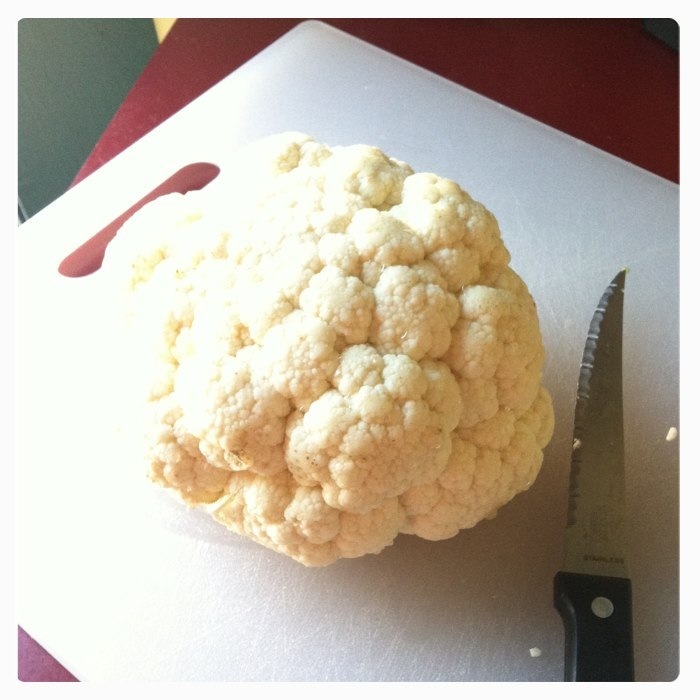 Cut it up, place in boiling water, and cook cauliflower until it’s soft. 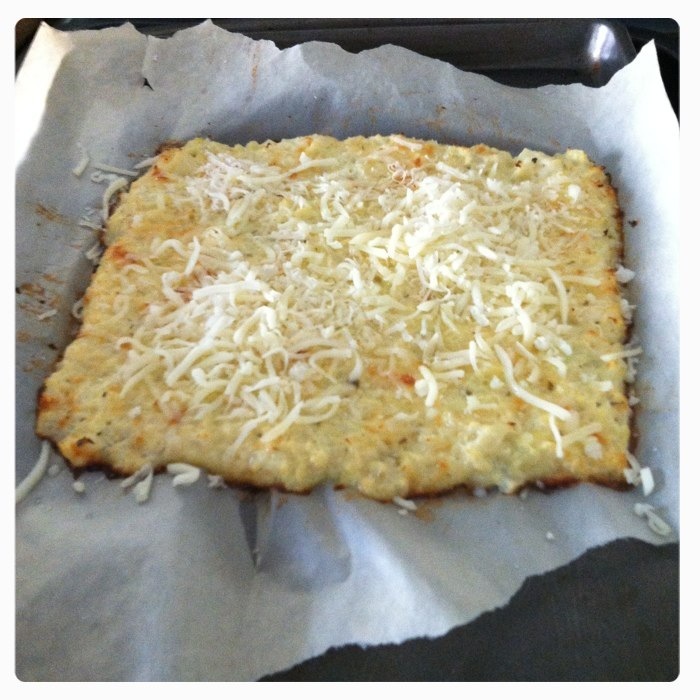 Then I took to mashing it with a potato masher until it was all broken up, added the oregano, garlic powder, 1/2 c of the mozzarella, and 1/2 c of the Parmesan cheese. 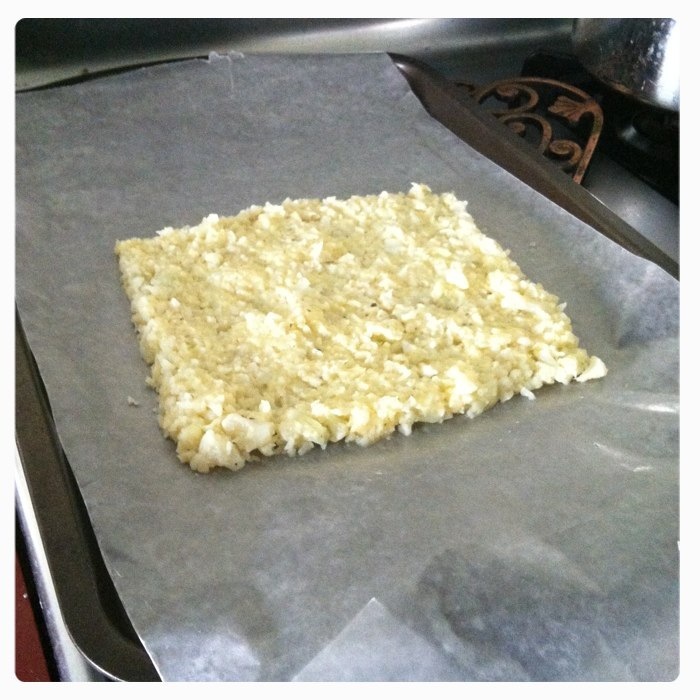 Spread that over the cookie sheet into what looks like a pizza crust. Bake that for 15 minutes. 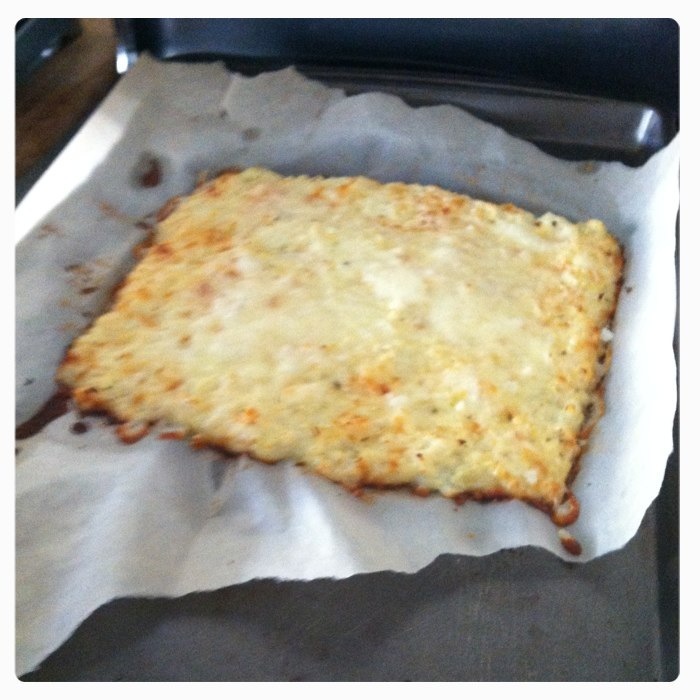 Added the rest of the cheese and popped it back into the oven until the cheese was melted. This is the time you start your cheesy bread dance and await amazing goodness. I sliced it up and took to eating it. Best done with a fork, though. Such a great alternative to garlic bread!!! 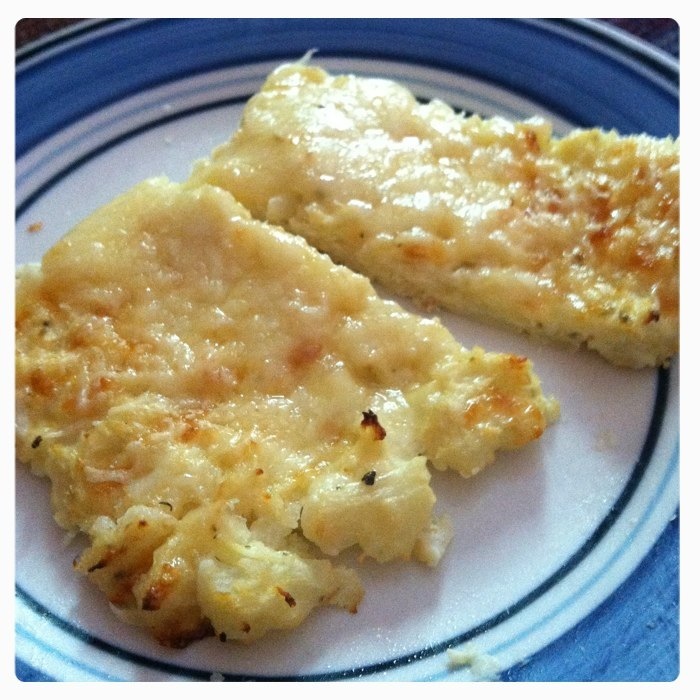 I love the combo of cauliflower and cheese – this looks great!